Anna is focusing on the firm’s sales and client service. She is responsible for prospecting and managing institutional clients across Asia Pacific and organizing activities, especially for the Korean market. As a main contact point for Korea, she takes the ownership of the communication of the ILS investment strategy for Korean. 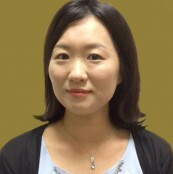 Prior to joining ILS Advisers, she was a Sales Relationship Manager at JP Morgan Chase in Hong Kong in charge of the custody business for the Korean Market. She provided regular service reviews and prepared the relevant product information (i.e Settlement, Income, Corporate Action, FX, Fund Admin, Tax, Credit, Liquidity, Agent lending & Billing) for existing clients and prospects and also coordinated marketing events in Korea. Previously, she was a Senior Account Manager at Euroclear Hong Kong for eight years, responsible for Korean Institutional clients. Focusing on maintaining existing business, she was a specialist for the Securities Lending and Borrowing product. In this capacity she contributed new business from existing clients’ portfolio with support from the investment experts. Also she conducted educational seminars bi-annually and assisted the development of a strategic business plan for the firm. Anna has a Bachelor degree from the Hanyang University in Seoul.